Delicious, healthy, and very simple to make. Often a favorite appetizer or side dish during bbqs, roasted asparagus are perfect snacks. 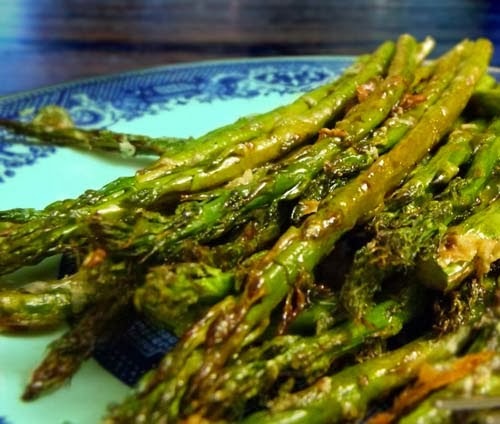 But did you know that asparagus has a high Vitamin B content? That makes them a natural source of energy. So if you constantly feel tired or expect to work a long day, be sure to include asparagus as part of your diet. It'll help. To prep, rinse asparagus and pat dry with paper towels. Trim bottom (unless you want to eat those parts). 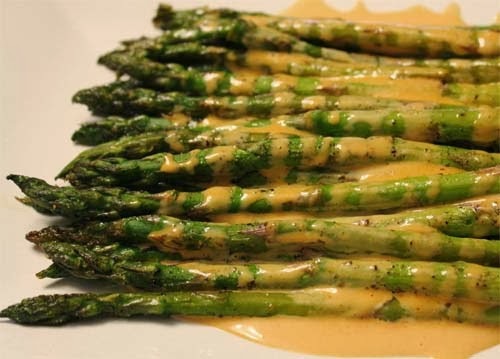 Dip asparagus in olive oil. Lay them on a sheet pan. Salt and pepper to taste. And cook on a barbecue grill or oven (preheated to 475 deg F) for 10 minutes.